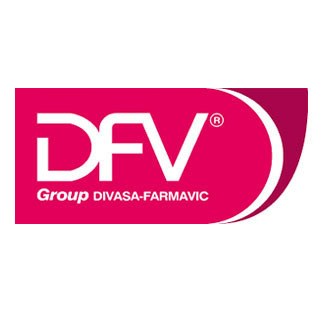 DIVASA - FARMAVIC, S.A., is a wholly Spanish owned company, with its Head Office and production site in Gurb-Vic (Barcelona). Since it was founded, the Company has proved to be a dynamic business, showing constant growth and expansion within the animal health sector, manufacturing and marketing veterinary products. Our presence in the several areas of the veterinary sector is important to the Company's strategy. We currently have several product lines, each with its own particular features. 1. Manufacturing and marketing pharmaceutical and nutritional products for farm livestock. 2. Manufacturing and marketing pharmaceutical, nutritional and hygienic products for pets. 3. Manufacturing and marketing instruments and equipment for veterinary surgeons in both the farm livestock and pet fields. 4. Marketing diagnostic reagents, diagnostic kits and instruments for rapid diagnosis. Our clearly defined, scrupulously applied strategy has helped DIVASA - FARMAVIC, S.A. become a well positioned business with excellent future prospects. The search for high quality products, both from the point of view of design and function as well as in production at each and every level of the organisation, is one of the pillars on which our Company rests. Another is innovation in terms of offering practical products with positive spin-off effects, offering clear advantages for their users. To sum up, we offer more efficient, safer products of the highest quality. In Research & Development, DIVASA - FARMAVIC, S.A. has taken up the challenge of fostering technical and human resources at the highest level, allowing us to execute ever more ambitious projects and concentrating our efforts on new, innovative products. The ultimate objective of DIVASA - FARMAVIC, S.A. is to extend our presence, with an global view of the market, reinforcing our relationship with subsidiaries and distributors alike, in order to offer the best services in the field, providing for animal health and welfare.